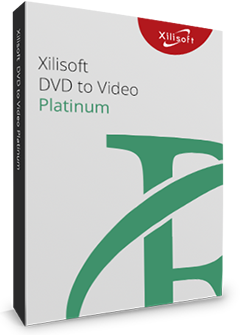 Well-designed for Xbox users, Xilisoft Xbox Converter can convert your regular PC video files (AVI, MPEG, WMV, MOV, MP4, RM, RMVB, DivX, ASF, VOB, 3GP, FLV) to Xbox/Xbox 360 video, as well as convert them to MP3, WMA and WAV music with high conversion speed. Compared with other Xbox video converter and Xbox 360 video converter, Xilisoft Xbox Converter allows you to customize detailed parameters like bit rate, sample rate, channels, video quality, aspect ratio to improve video quality for better playback with Xbox. The Xbox video converter can give you more than those above. It has more features you can expect like converting video segment, splitting video, taking a snapshot and previewing video with the built-in player. With this Xbox 360 video converter's help, you could enjoy high quality video movie, especially HD movie on your Xbox/Xbox 360. Now, turn your Xbox into a media player! 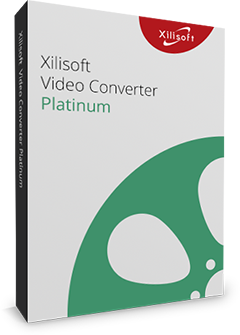 With Xilisoft Xbox Converter, multi-format videos like AVI, MPEG, WMV, MOV, MP4, RM, RMVB, DivX, ASF, VOB, 3GP, FLV can be converted to Xbox compatible formats with high speed, especially HD videos. Support for multi-core CPU means you can convert multiple video files to Xbox/Xbox 360 movies faster than ever before. Convert Xbox videos at up to 5x speed with NVIDIA CUDA & AMD APP encoding technology. The Xbox video converter lets you specify the start and duration of video segment that you want to convert for watching on Xbox/Xbox 360. Just append different profiles for the same video with the "Add Profile" function, more convenient to get various files for different devices at one time now! Besides directly converting video segments, this Xbox/Xbox 360 converter has the capacity to split AVI, MPEG, WMV, MOV and other videos into Xbox supported video segments. You are able to choose video and audio parameters in this Xbox/Xbox 360 video converter like bit rate, sample rate, channels, video quality, even save the customization as your own profile. The built-in Bitrate Calculator helps you get video converted with desired size you define yourself by directly entering the size in the bitrate-calculated tool. Batch conversion and multithreading means that you can convert AVI, MPEG, WMV video files to Xbox/Xbox 360 videos one by one with a single step to save your time. When converting video to Xbox/Xbox 360 video, Xilisoft Xbox Converter allows you to run the software in the background for less CPU possession. Choose one of after done actions: shutdown, hibernate, standby, exit and let Xilisoft Xbox Converter do all Xbox video conversion tasks for you. Allows you to manage your system power in this Xbox converter. Several language interfaces: English, Japanese, German, Spanish, French and Chinese in Xilisoft Xbox converter.